Upon arrival in Bangalore, meet our tour representative who’ll assist you in smooth transfer to the hotel. In the evening, go for a Jeep Safari. Later, return back to the hotel for dinner and overnight stay in Bandipur. Post breakfast in the morning, check out of the hotel and leave by road for Ooty. 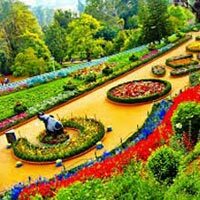 Upon arrival, check into the hotel and embark on a sightseeing tour to Pykara Lake, Doddabetta Peak, Ooty Golf Course, Rose Garden and Tea Museum. 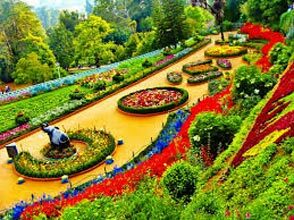 In the evening, enjoy boating at the Ooty Lake, and later return back to the hotel for overnight stay. Post breakfast in the morning, visit Coonoor by the famous Toy Train (buy train tickets 1 hour prior to the journey directly). At Coonoor Railway Station, a car will be waiting to pick you up. Following the train journey, visit Sim’s Park, Dolphin’s Nose and Lamb’s Rock. Post sightseeing trip, return back to Ooty for dinner and overnight stay. Today in the morning, after breakfast, take a road trip to Coimbatore. Upon arrival, you will be transferred to the airport/ railway station for onwards journey.